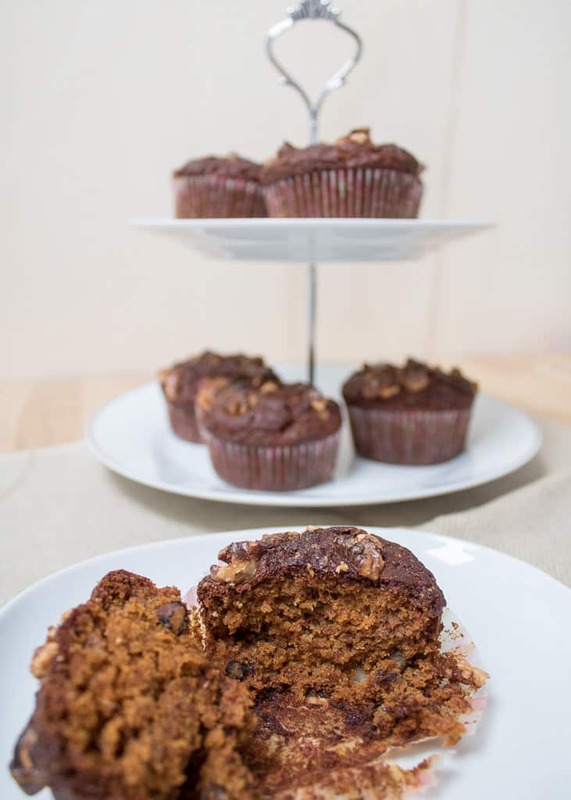 Pumpkin is one of my favourite vegetables and I am really constantly experimenting with new recipes… These wonderful muffins came off well after few trials of what I can do with pumpkin puree. When I buy a pumpkin and can’t make use of it right away, I boil or bake it (it can be also steamed), strain it and put it in the refrigerator. This way the pumpkin can remain in the fridge up to 5 days, it can even be frozen but I’ve never done it. Many different raw desserts can be made with pumpkin puree like that vegan pumpkin cheesecake which is one of the most popular recipes on the blog. These muffins are juicy, aromatic, very quick to prepare and are vegan (don’t contain eggs and milk). They go well for guests and served with coffee or tea but are also perfect for breakfast. 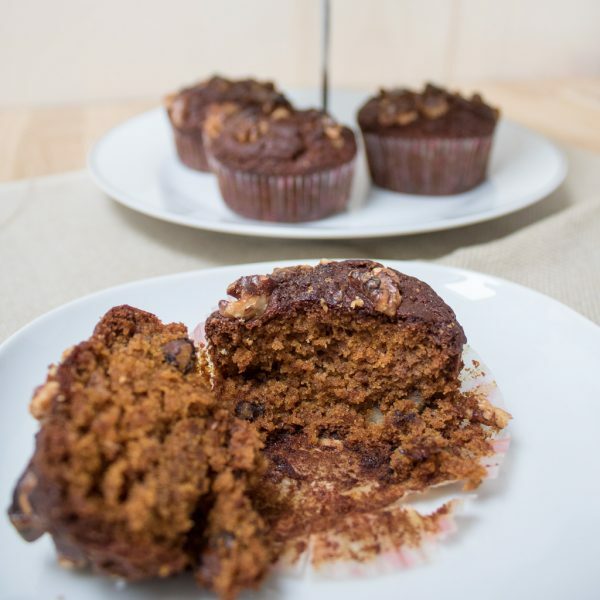 Vegan pumpkin muffins – so aromatic, juicy and delicious. Egg and milk free recipe. 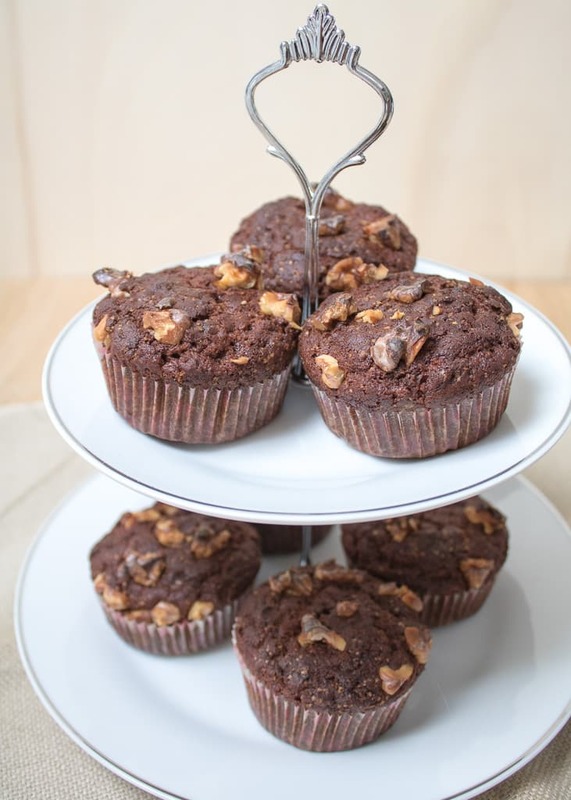 Try this amazingly good vegan muffins today! Put the flour, the sugar, the baking powder and the spices in a large bowl. Preheat the oven at 180 degrees. Add the plant milk and stir well. You can use a mixer or stir it with spoon. Add the melted coconut butter and the pumpkin puree and stir again. You can add half of the amount of walnuts to the dough and stir again. The other option is to sprinkle the muffins with the whole amount of walnuts. Put paper cups or baking paper in muffin tins. Distribute the mixture into the tins. Sprinkle with walnuts. Bake in the already preheated oven for around 20 minutes. Keep an eye on the walnuts on top of the muffin and if you see that they are getting brown, cover them with baking paper so they don’t burn and getter bitter taste. Whether the muffins are ready you can check by sticking them with a toothpick. When the toothpick is dry, the muffins are ready. Let them cool down for 10-15 minutes.